The Taiyang Organic Commune, located in a small valley amongst mountains to the west of Hangzhou, is a natural village of 140 households. A series of small temporary structures were required. Local and natural materials were used, along with labour from the commune village. The structures needed to be economical and sustainable, as well as quick to assemble. The architects worked with local farmers to build structures suitable for farming use. 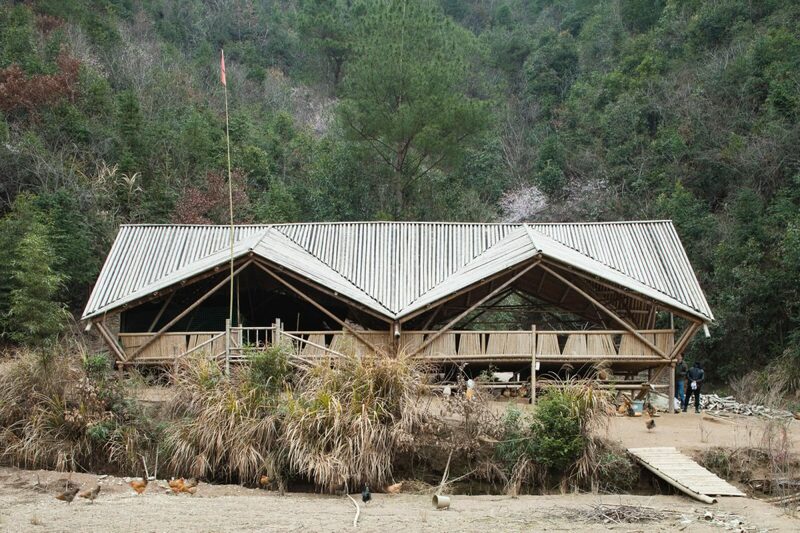 Three bamboo structures have been realised: a pigsty, a hen house and a pavilion. Extensive consultation with farmers during the design process concerning the animals’ habits and needs has resulted in a design which facilitates greater productivity with traditional breeds.